This mat features 10 different powerful massagers. Areas can be easily targeted by choosing one of the five modes or by selecting a zone of the body to focus on. Heat can be switched on or off and vibration can be selected from one of the three available levels based on your needs. 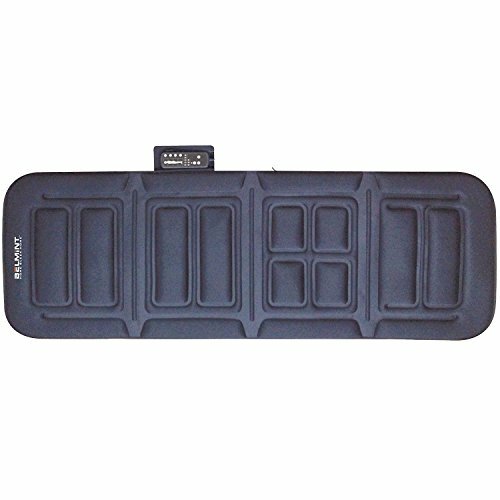 Mat that can be used sitting up or laying down. 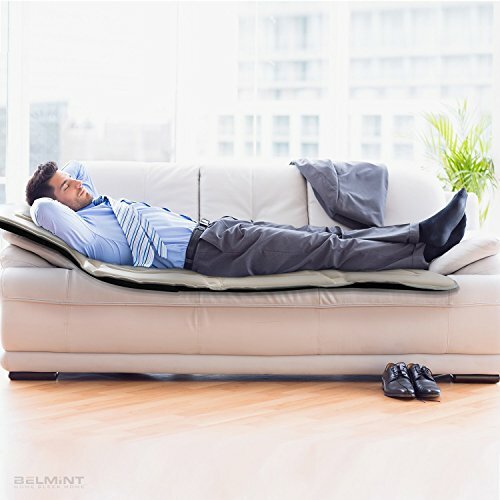 The plush covering makes it extra comfortable, while the handheld control makes it easy to use. 5.5 feet by 1.9 feet in dimension. This mat can fold up and weighs five pounds, making it easy to transport. Allows a private, relaxing massage experience without having to leave your home. A one-time fee gets this device to give a full body massage at any point in time, proving to be more economical. As a portable device, this can be brought on business trips or vacations to help reduce stress levels. Umea University in Sweden studied the therapeutic effects of massage. This study proved that massage reduced blood pressure as well as feelings of stress and anxiety. It even may help people breathe easier. Department of Educational Psychology, University of Illinois, have stated that massage therapy reduces heart rate, blood pressure, and overall anxiety and depression. Neckwear, such as necklaces and ties, should be removed prior to use. Massage stress away every day!